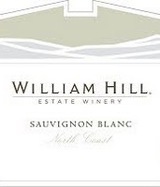 An aroma like fresh mint leaves and sage leads to lively, crisp lemon and lime flavors in this very refreshing wine. It has just the vibrant palate-cleansing qualities needed. Smooth and succulent, with a lip-smacking mix of lime zest, dried mango and lemony notes. Juicy and persistent on the finish. Drink now. 60,000 cases made.